Choosing a new thermostat for your home may be more difficult than the actual installation and wiring, so we'll start there. 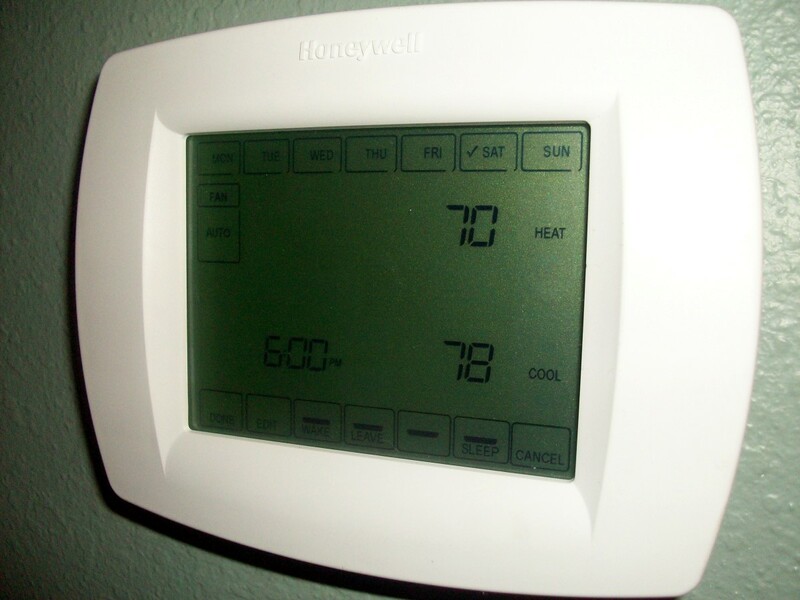 I needed a heat pump thermostat, but most high end thermostats will work on most heating or cooling systems. Begin by questioning yourself - what do you want the thermostat to control, and how? I wanted a programmable digital thermostat that I could program for different temperatures at different times of day, with each day independent of the others; a 7 day programmable thermostat. I have a heat pump with two stage heating plus emergency heat, so a 3 stage thermostat is necessary. My current thermostat, a talking thermostat from Smartway Solutions, was only a two stage thermostat, so I needed to confirm that the thermostat wiring already available was adequate (it was - the extra wires I needed were there, simply unused). I had seen and liked the Honeywell thermostat with a touchscreen so that was a possibility. I wanted to control my second stage heating dependent on outside temperature (an energy savings for heat pumps) so the thermostat must have an outside temperature sensor available. I also found that some of the better thermostats would automatically switch from heating from cooling - nothing I had seen in years past would do that and I find that I like it. We often get swings in temperature where I live that require twice daily adjustments to go from "heat" to "cool" on my past thermostats. 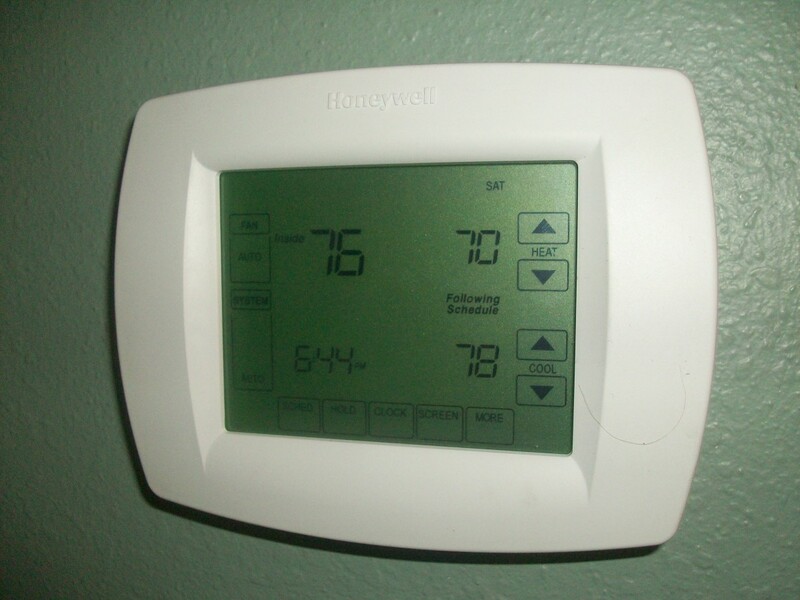 All of these decisions need to be considered when choosing a new thermostat, plus of course cost. Compromises are often possible - perhaps a 5/2 day thermostat would fit your needs with weekdays programming done as a group and weekends done separately. If the existing thermostat wiring is insufficient it will have to be replaced or worked around, perhaps with a thermostat not quite as capable as you want. Probably the two biggest concerns are the thermostat wiring and the thermostat voltage. The large majority of modern systems use a 24V system, and thermostats reflect that in that almost all of them work on 24 volts. Line voltage thermostats using 120V or 240V are possible - my ancient radiant ceiling heat system has a 240V thermostat in every room that I kept active but unused as an emergency backup to my heat pump and baseboard heaters are nearly all line voltage (that is, the thermostat operates on the same voltage as the heater). If you are unsure of your thermostat voltage it may be checked with a voltmeter at the thermostat base by pulling the thermostat off of the base and checking between the R and C terminals on the base. These are probably red and black wires, but color codes are not always followed and are not completely standardized. 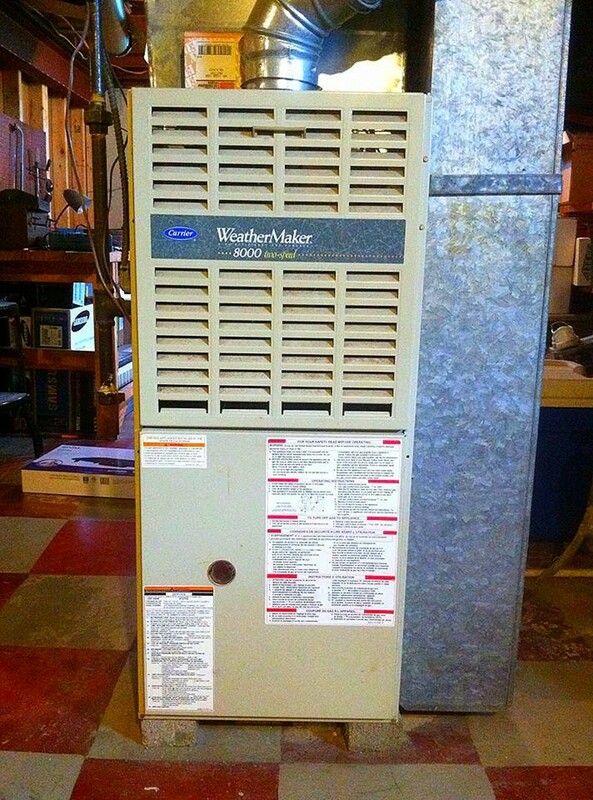 It can also be checked in the furnace or air handler, probably by studying the wiring diagram in the unit. CAUTION! If you are not comfortable doing this, don't! The blower section of your system likely has either 120 volts or 240 volts in it that will be live if you are checking voltages. CAUTION! I had been having some trouble with the talking thermostat and high electric bills so I had a local HVAC service company check my heat pump out. During the process, I asked their opinion on a new thermostat and was told they like the Honeywell VisionPro series, and that it would cost me around $400 to have one installed. I declined, thinking that was far too high for a new thermostat, and began checking. I finally decided on the Honeywell VisionPro TH8321U1006 plus a Honeywell C7089 outdoor sensor to go with it. Before making a final decision yourself I strongly suggest that you check the wiring diagram for your new thermostat and compare it to your existing thermostat. My new Honeywell terminal designations matched my old thermostat markings, but If the terminals and number of wires don't match you will have to do some wire tracing or replacement - see the caution above. The Honeywell I purchased has two sets of terminal markings - one for heat pumps and one for conventional - don't get them mixed up! 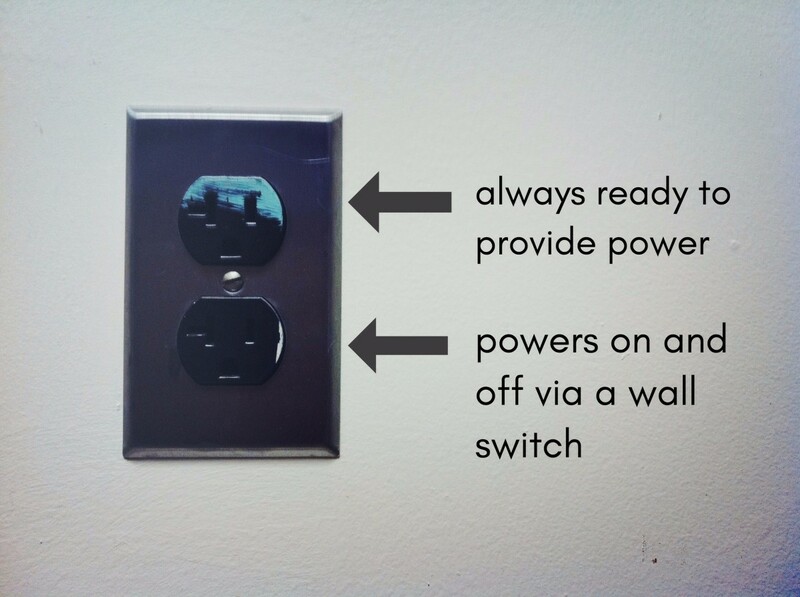 First step - turn off the power to your heating system! If you have separate heating and cooling systems, turn off the power to both of them! The thermostat wiring you will be most likely dealing with is only 24 volts - it won't shock you but there is some chance of damaging the system. I repeat - turn off the power! You are now ready for removal of the old thermostat. 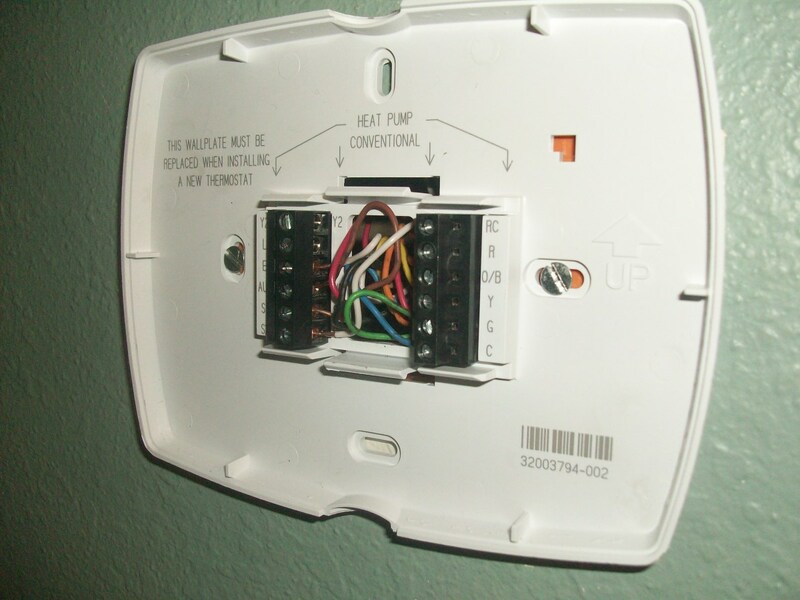 Most thermostats simply pull on and off the base; pull the thermostat off, revealing the wiring. Carefully note, on paper, which wire goes to which terminal. Write down the terminal markings and colors. 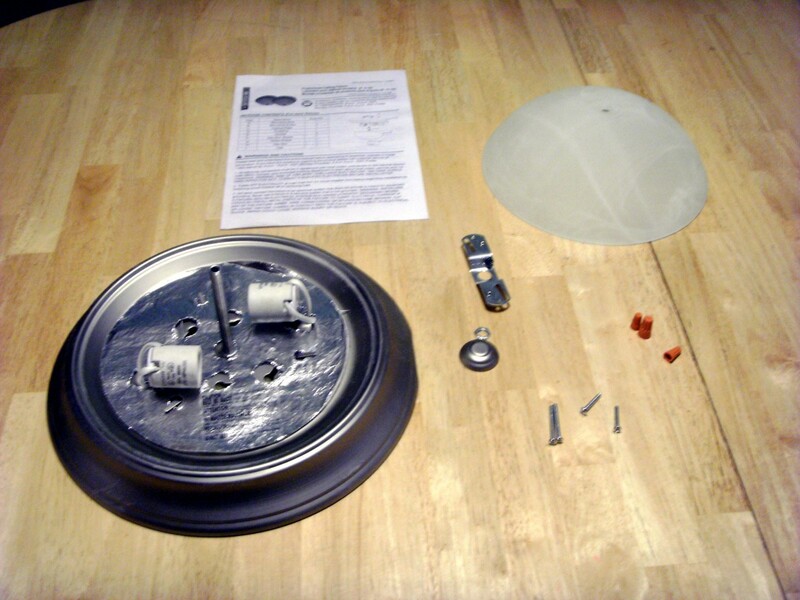 The base may now be removed by removing the wires from the base and then removing the base from the wall. If new or additional thermostat wiring is needed it is time to install it. My system needed a 9 wire cable to the air handler and a 2 wire thermostat wire to the outside temperature sensor. The 9 wire cable was there, but no 2 wire cable, so I had to add that. As the wire simply poked through a very small hole in the drywall, I needed a larger hole to fish new wire - I installed a low voltage "old work" electrical box. This is little more than a plastic frame that will slide into the sheetrock and fasten there and that has holes for the thermostat screws; it is readily available at such stores as Home Depot and Lowes. My existing wiring went down to the crawl space under the house, and I drilled a new hole in the floor near the existing wire so that the hole would be inside the wall above. A long steel wire was used as a guide; I taped the new thermostat wire to it and pushed it up the hole. A helper above reached into the new low voltage box and guided the steel wire out of the wall, then removed the thermostat wire from it and I pulled the steel wire back into the crawl space. As the outdoor sensor required wire through an exterior wall I drilled that hole while in the crawl space. If you have pulled additional or replacement wire you will have to hook it up in the furnace or air handler. Each system will be different and have different requirements, but if you are knowledgeable enough it is not difficult. I repeat an above warning, however: CAUTION! If you are not comfortable doing this, don't! The blower section of your system likely has either 120 volts or 240 volts in it that will be live if you are checking voltages. CAUTION! There should also be a wiring diagram in the unit to help, and the instructions that came with the Honeywell VisionPro were excellent is describing what each terminal was intended for. I had little trouble in that respect and perhaps the next section can help. If no additional wire has been installed (the most common case by far) then you are ready to install the wiring to the thermostat base. 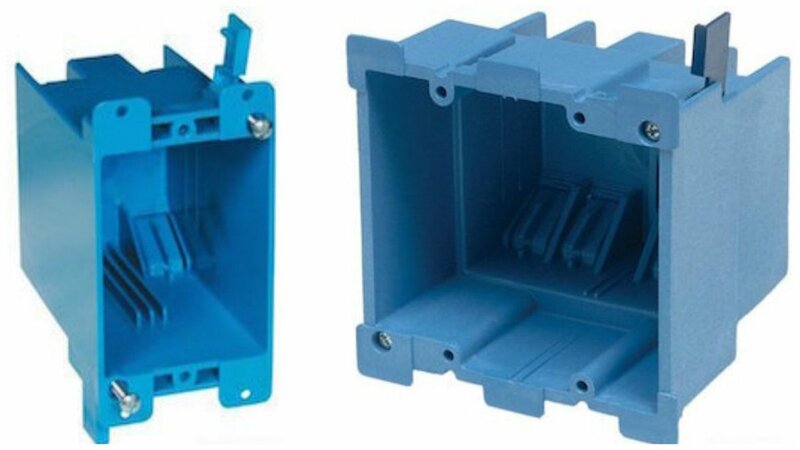 Carefully refer to the list of original wire placement and install the wires to the appropriate terminal in the new base. I found terminal designations to be the same on both the old and new bases, but referred to both the old and new instruction sets anyway. All the original wires went to the same place - it was the new ones I had installed that didn't. I have 11 wires to the new base and while it looks frightening and impossible to get right it was very easy. One wire at a time and soon it's done and working. The new thermostat is now pressed onto the base and programming may begin. Again, I cannot help you here as each thermostat is different. What I can say, though is that the Honeywell programming was simple and easy. There are many settings to be checked by the installer, most of which I left in the default position. Others I have changed since, such as the lighting on the face of the thermostat. Programming by the user was also quite straight forward with no problems. A final comment; I would recommend the Honeywell TH8321U1006 that I purchased to almost anyone. 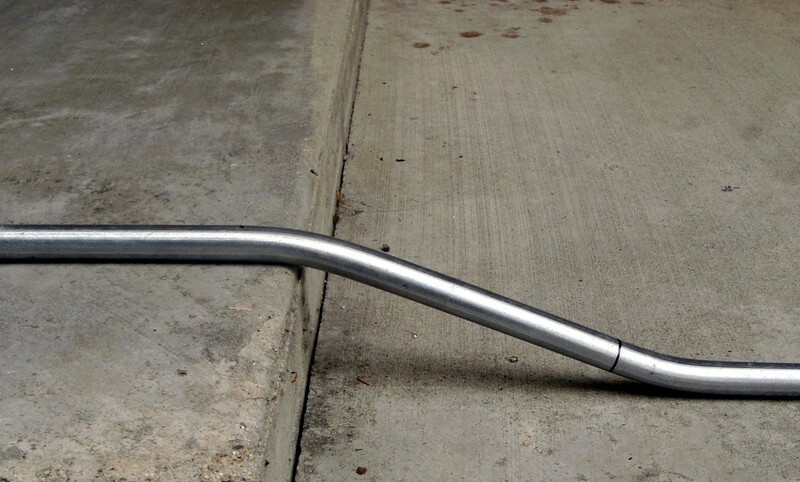 It is extremely versatile and will handle most heating/cooling systems. It has a lot of nifty little options that some others don't, and the cost was reasonable at a little over $100. I had to go online to find it, though - Neither Home Depot nor Lowes carried it. Congratulations - you have a new energy efficient thermostat that you did yourself! In this section I will address additional concerns for you people with a heat pump, as I have. Heat pumps usually have auxiliary and/or emergency heat strips mounted in the air handler. These strips are not used normally - it is only under very cold or emergency (outdoor unit malfunctioning) conditions, or when the temperature needs to rise more than 2 or 3 degrees that they are turned on as they are quite expensive to run. The new Honeywell will handle two stage heating (and two stage cooling, for that matter) plus emergency heat. It will even switch between heat pump and fossil fuel or other heat sources as needed. 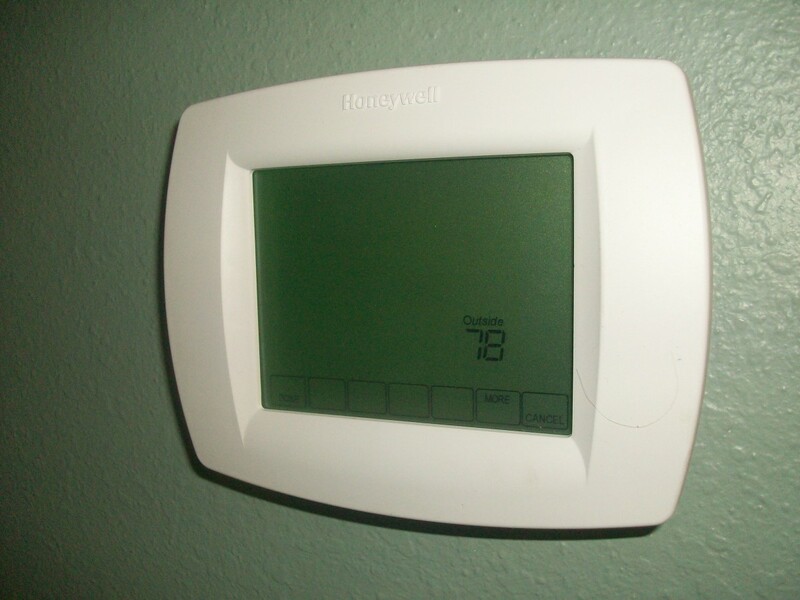 The Honeywell 8000 series thermostat allows use of an outdoor temperature sensor to prevent any heat strip coming on at all when the outdoor temperature is above 40 degrees, meaning that I can turn the heat up more than a degree or two without kicking on the auxiliary heat as normally happens with heat pumps. I can also prevent the compressor from operating when outdoor temperatures are very low - it doesn't accomplish much then anyway except burn power. All of these will save power, and were a part of the reason this unit was chosen. I have had this thermostat in use for several years now and have been very impressed with it. I highly recommend it for those wishing a high end thermostat. A heat pump requires at least 2 stages of heating in order to operate properly. The first stage runs the compressor in the heat pump, the second state turns on the auxiliary heating strips and/or the emergency heat. The third stage is overkill to some degree, but is what is available in thermostats and can be used to isolate the heat strips for emergency heat. I wonder, too, if your Goodman "furnace" is actually a furnace at all, or whether it is simply an "air handler"? A furnace would have a gas supply or some other form of producing heat and while that can be quite efficient (to have both heat pump and furnace) it is expensive and seldom done because of that. 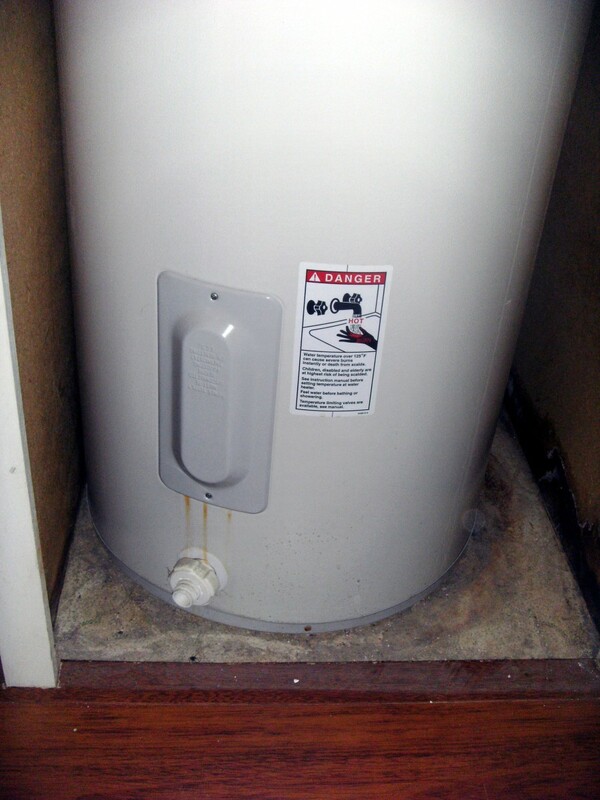 If it is an actual furnace the third stage is likely to be used to turn on the furnace while turning off the heat pump. Heat pumps are not efficient, and are nearly useless, at temperatures below about 25 degrees F outside temperature. It varies with the model and manufacturer, but they are all somewhere in that range. 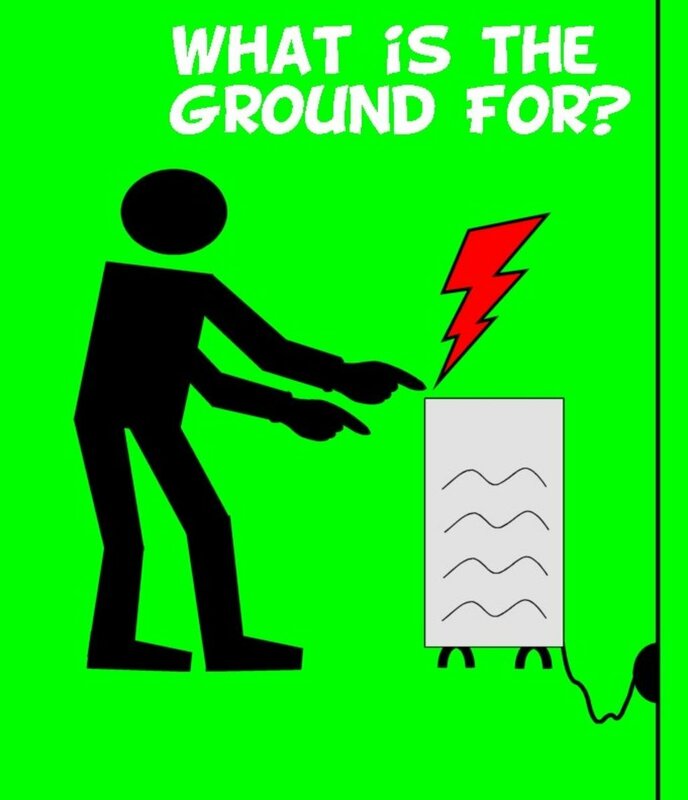 When the temperature falls, the thermostat will turn on the auxiliary heat strips, but without knowing what the outdoor temperature is will also run the compressor, resulting in electricity use for no heat gain. The outdoor sensor fills that requirement, telling the thermostat when to turn off the heat pump while turning on the heat strips alone. That is the setup I have installed in my home; a heat pump with a 3 stage heating/ 2 stage cooling stat with an outdoor temp. sensor. Due to radical lifestyle changes (additional families living in the house for periods of weeks to months) I cannot know for certain if it has helped reduce costs, but I do have a strong feeling it has. The programmable feature also allows us to set times to raise or lower the indoor temperature, something that I like and saves energy as well. My suggestion, then, would be to go ahead and have the new stat installed if the labor cost isn't exorbitant. Dan, thanks so much for this hub. If you have the time, can I please tap into your expertise on this thermostat thing? Our heating guy--whom we don't know very well yet--just did a routine maintenance on our Goodman furnace and heat pump (both single stage.) He wants to return and install a Honeywell Vision pro 8000 3ht/2cool programmable thermostat ($185) AND a Honeywell outdoor temp. sensor ($32.) I don't know the model # of either at this point. 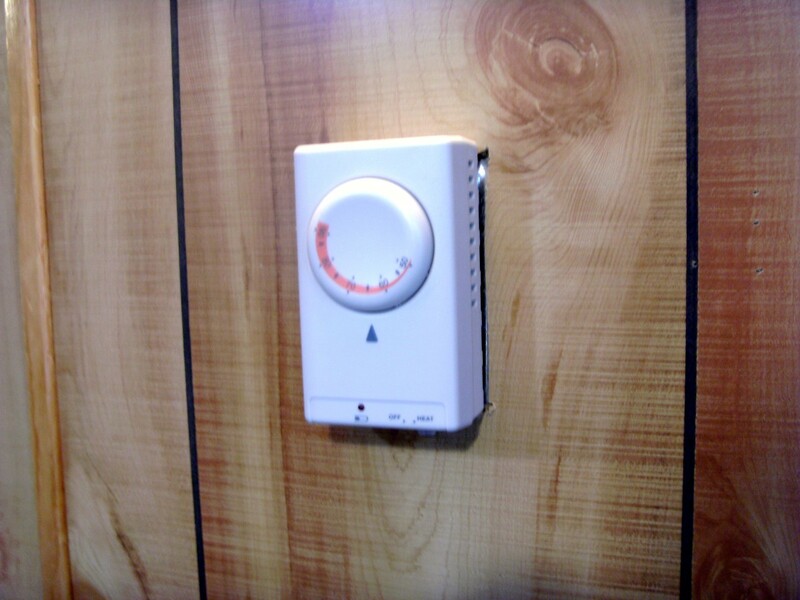 Our present thermostat is a Honeywell RTH7400D, 1 heat/1 cool, which seems to be working fine. Admittedly, I don't understand the 1-2-3 heat/1-2 cool thing, but I really don't understand the need for a 3 heat/2 cool thermostat when both our furnace and heat pump are single stage, and our present thermostat is 1 heat/1 cool. Can you give me your opinion and/or some direction? Thanks much. Thermostats have come a long, long way from the days of a simple mercury bulb to turn the system on and off. The control possibilities, particularly for a more complex heating and cooling system, are almost limitless. It will pay large dividends to understand what your heating/cooling system is capable of and buy a thermostat that can use those capabilities to their fullest.